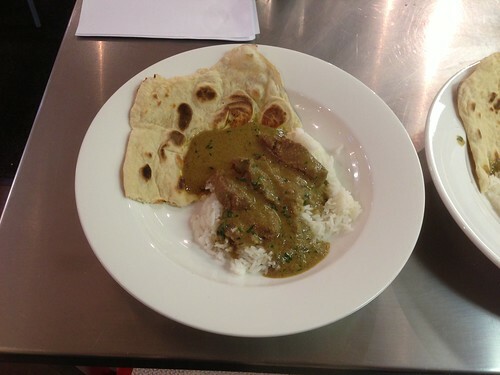 We learnt 3 dishes and a couple of extras were demonstrated during the course of the day. First we made a starter of Hot and Sour Shrimp Soup (or Tom Yam Goong), to be honest from the moment I booked the course this was the bit I was least looking forward to – being as I really don’t like shrimps or prawns. However it was actually pretty good, and I would make it again, especially if I had people round for dinner who loved prawns. Alongside the soup we made thai salmon fishcakes, which were lovely and so different from normal fishcakes that are mostly potato with little bits of random fish flaked inside. I loved the zesty flavours lemongrass, lime and coriander. I will definitely be making these again. My favourite course, however, was the Chiang Mai Curry (Gaeng Hang Lay). 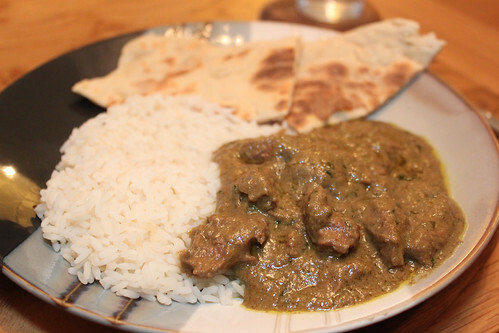 It was so easy it was quite shocking, to start with you just thickly cut strips of blade steak, which you then simmer in coconut milk for an hour, before adding a curry paste and thickening the sauce. I can’t wait to make this again, and I wonder if the beef and coconut milk could actually be cooked in a slow cooker… making it an easy weekday night as well (although you could just make it a day ahead). To go with the curry we were shown the traditional way to cook thai rice, and the not quite so traditionally Thai – naan breads. 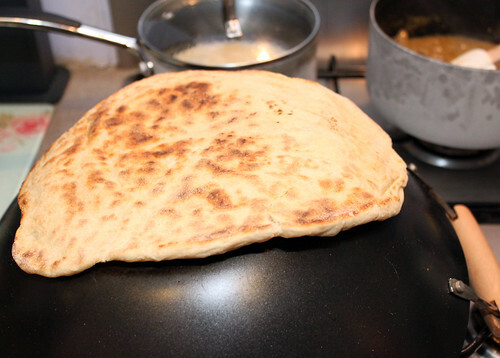 Yes I am cooking a naan bread on an upturned wok underneath a hob ring, with a blowtorch to scorch the other side! Supposedly this is the best way to make naan breads when you don’t have a traditional tandoor oven!! However the top highlight of the day was being at the cook school with the instructors, seeing their enthusiasm for the flavours, ingredients, recipes and just cooking in general. There were so many tips given during the day I can’t possibly remember them all now, I can just hope when I need them they will pop back into mind. Both Matt and I enjoyed our day at the cook school, I expected to, with food and eating being two of my biggest passions, however I was pleased at how much Matt enjoyed himself too. 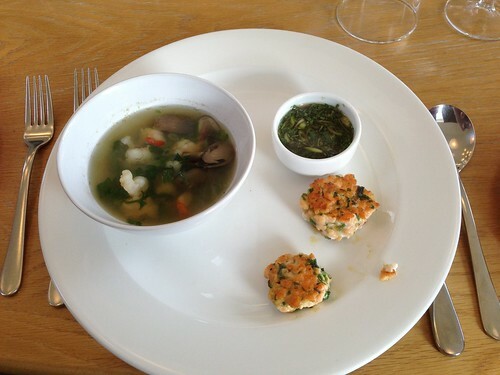 The next Thai cooking class available in Port of Menteith is on the 14th of April 2013.